If your solar has stopped working, or your power bills have risen suddenly, your inverter may need to be replaced. Northern Solar Pty Ltd specialises in Inverter replacements and upgrades in Murwillumbah and surrounding areas including Tweed Heads, Tweed Heads South, Banora Point, Terranora, Bilambil, Chinderah, Kingscliff, Bogangar, Casuarina, Hastings Point, Pottsville, Tumbulgum, Condong, Stokers Siding, Uki, Tyalgum, Chillingham & Burringbar. Is the inverter the issue? 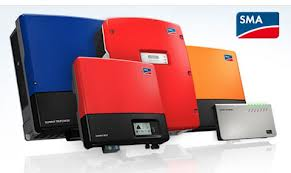 It is highly recommended to take the inverter through the shutdown procedure as often this fixes minor issues. If the inverter display is blank, tests may need to be performed on the panels, the inverter or just the display itself. Is there an error message displayed? What does the message say? Record this message in case it changes or the display stops working. Refer to the manual for guidance. If the message in the manual instructs you to take the inverter to the factory service centre, there may have been an internal component failure. Error messages describe a wide variety of issues including issues coming from the solar panels. operating beyond the design voltage or current limits. 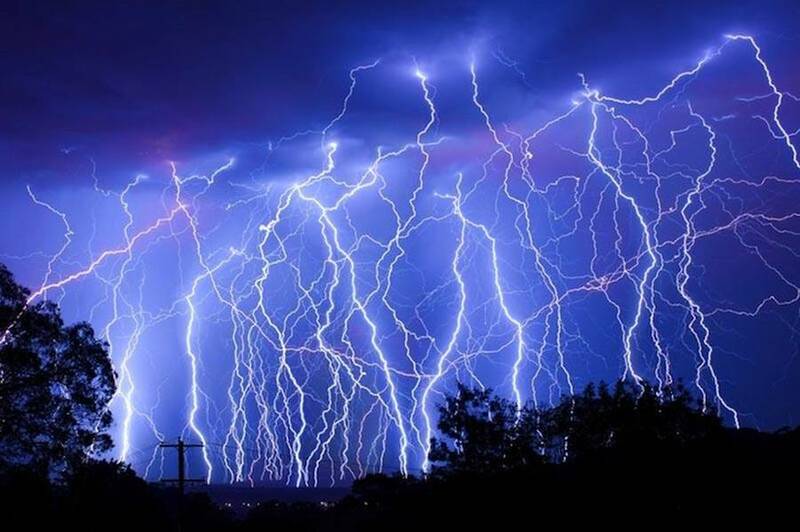 We have also found natural causes such as insects, rodents, reptiles, birds and weather events to have caused failures. Often, the cause is not obvious, and only identifiable through testing the solar power system. Burnt out DC isolators will cause system failure. This is most commonly caused by moisture inside the plastic DC isolator housing. DC voltage connectors under the panels have been found completely severed due to improper connection, which leads to burnt out connections. We often find burn lines across panel cells that cause major performance issues. These are becoming more and more common. They are a dark blue or grey in colour and no more than two or three millimetres wide. Sometimes ‘hot spots’ develop in the solar cells. These are from overheating, resulting in melting of solder and/or silicon and deterioration of the backsheet. 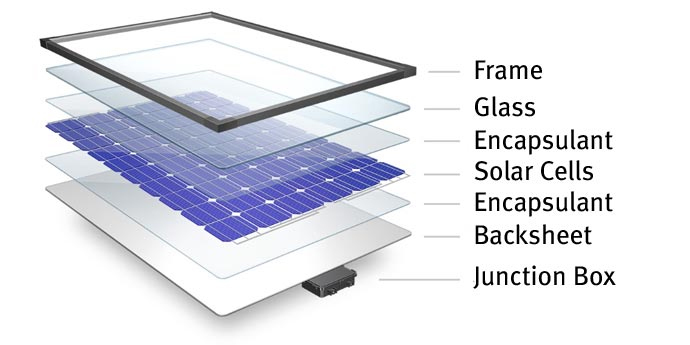 Degradation of the seal between the solar panel glass and the metal frame has been found to cause water related panel failure. 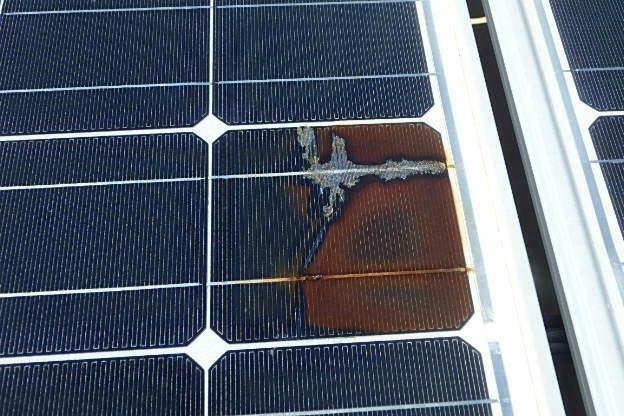 Delamination of the bond between layers of materials within the solar panels causes bubbling, which leads to water related failure. This starts with the visible browning of the back plate behind the solar cells and is very common. Q: Is my inverter covered under warranty? A: To find out if your inverter is covered under warranty, first establish when the warranty period began. This is generally the date the system was installed. The most common inverter warranty period we see is 5 years; however, check your paperwork as extended warranties are not uncommon and some manufacturers offer 10 years. Q: I can’t find my paperwork and the solar retailer I purchased the system from has gone out of business. A: This may limit your options. 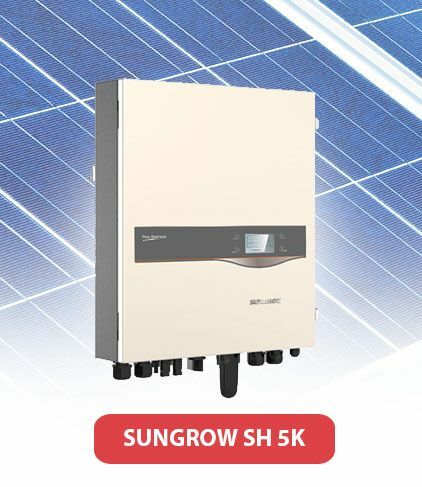 Murwillumbah customers seeking advice on what to do next regarding solar inverter upgrades and replacements call Northern Solar on 0412 693 189. Q: My inverter is under warranty but the inverter manufacturer is out of business. A: It looks like your options are limited and your inverter needs replacing. Note: Energy and Solar Power technologies continue to evolve at a fast pace. For this reason issues of voltage incompatibility may occur when trying to upgrade older systems to include latest model componentry. Depending on the age of the system, some customers will need to not only replace a faulty inverter but also install new panels to maintain a safe, effective solar power system. Customers in Murwillumbah and Tweed Coast region including Tweed Heads, Tweed Heads South, Banora Point, Terranora, Bilambil, Kingscliff, Bogangar, Casuarina, Hastings Point, Pottsville, Chillingham, Chinderah, Tyalgum, Uki, Condong and Tumbulgum, that are seeking to replace an entire system are advised to review our buyers guide.